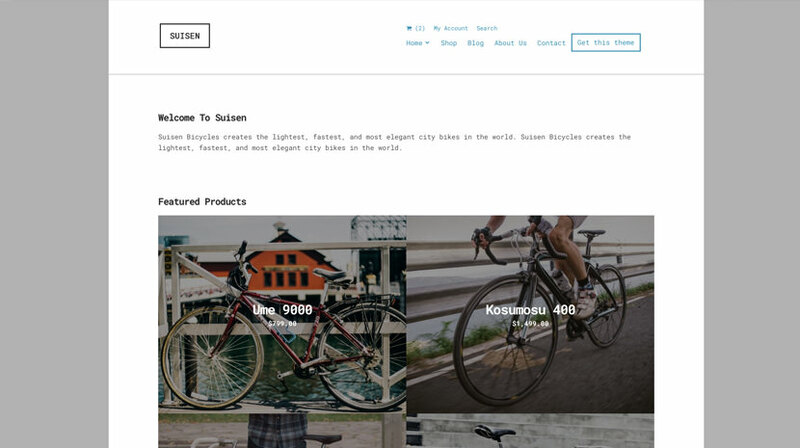 Suisen is a minimal WooCommerce theme for WordPress, made for users that desire a simple yet elegant e-shop. Use Suisen and take your e-business to the next level. click the Publish/Update button when you are done. TIP: Any changes you make in the tabs below will be previewed live on the website that appears in right side of the screen. However to save these changes you need to click the Save & Publish button on the top of the bar. If you have made a change but the button is grayed out (for example changed the font size of a heading), move the cursor outside the input box to the next input box. After doing so, the button should be clickable again. Here you can create and assign menus to the theme. The theme features one menu location, the main menu. To learn more about menu creation check out the Codex’s menu user guide. Here you can select the number of words in the automatic excerpt, select pagination style, toggle product title, layout and enable the masonry effect. Are you looking to create your own unique color scheme? This tab will help you do it by allowing you to modify the colors of different elements of the content. 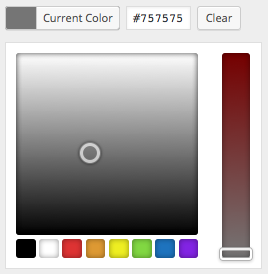 To do that click the Select Color button and either use a hex color value in the box or use the palette to select a color. Through this tab you can add widgets to the theme’s sidebars. The theme features three sidebars, one on the homepage and two pre-footer sidebars. Here you can toggle various aspects of the single post and post listings, like the appearance of categories, tags, date, comments, social sharing etc. Here you can modify the footer text. In this tab we have the Custom CSS panel, that helps you insert styles for elements not covered by the rest of the tabs. Also here you can set the Google Analytics ID to get statistics on your site. To create your home page, create a page named Home and apply to it the Homepage Template to it. To create a post listing page, create a new page named Blog and publish it. Once you have created the two pages above you need to set them as default. To do that go to Settings > Reading and configure them as shown below. To create a contact page similar to the one found on the theme’s demo, you can create a new page, name it Contact and use the Contact Form 7 plugin to help you create a contact form. After doing so, paste the shortcode it provides in the page’s text editor, publish and you are done. 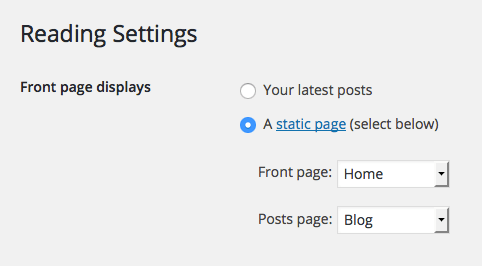 The Theme – Latest Posts widget will help you display your posts on the front page. Let’s take a look on how to use it. Start by adding a title to the widget. Select a post category to display on it (leaving the option empty will display posts from all categories). Select whether you want your posts to appear at random (default is by date from newest to oldest) and how many posts you want to display on the widget. Finally you can choose to make the first item appear bigger by checking the appropriate box. As mentioned above, if you don’t select a post category on the widget it will display posts from all categories. You can exclude some of them if you wish, by selecting them in the Categories to exclude latest posts from field. If you chose not to import the default widgets, but still want to recreate the homepage layout of the theme demo, you can do so by following the instructions below. Text – a text widget with some introductory text. Theme – Post Type Items displaying four WooCommerce products. Text – a text widget with some text. Theme – Product Category Images displaying the images of two product categories. Theme – Post Type Items displaying five WooCommerce products. Contact Form 7: use this plugin to create a contact form, then copy the shortcode it gives you and paste it in a page which will serve as your contact page.